Frank I. Michelman is Robert Walmsley University Professor, Emeritus, at Harvard University, where he taught from 1963 to 2012. He is the author of Brennan and Democracy (1999) and has published widely in the fields of property law and theory, constitutional law and theory, comparative constitutionalism, South African constitutionalism, local government law, and general legal theory. Professor Michelman is a fellow of the American Academy of Arts and Sciences and a past President (1994–95) of the American Society for Political and Legal Philosophy. He has served on the Committee of Directors for the annual Prague Conference on Philosophy and the Social Sciences, the Board of Directors of the United States Association of Constitutional Law, and the National Advisory Board of the American Constitution Society. In 2005, Professor Michelman was awarded the American Philosophical Society’s Phillips Prize in Jurisprudence and, in 2004, the Brigham-Kanner Property Rights Prize. In January, 1995, and again in January 1996, Professor Michelman served as a co-organizer and co-leader of the Judges’ Conferences sponsored by the Centre on Applied Legal Studies of the University of the Witwatersrand, devoted to matters of constitutional law in South Africa. In December 2011, Professor Michelman delivered the keynote address for a multi-day Conference on “The 20th Anniversary of Israel’s Human Rights Revolution,” at a session held at the Knesset, Jerusalem. Professor Richard A. Epstein is the inaugural Laurence A. Tisch Professor of Law at the New York University School of Law. He is also the Peter and Kirsten Bedford Senior Fellow at the Hoover Institution, and the James Parker Hall Distinguished Service Professor of Law, Emeritus, and Senior Lecturer at the University of Chicago Law School. He is an Adjunct Scholar at the Cato Institute, and a Visiting Scholar at the Manhattan Institute. He has served as editor of the Journal of Legal Studies and the Journal of Law and Economics. He has written on a wide range of legal and interdisciplinary topics and is the author of numerous works including The Classical Liberal Constitution: The Uncertain Quest for Limited Government (Harvard University Press 2013), Design for Liberty: Private Property, Public Administration, and the Rule of Law (Harvard University Press 2011), Skepticism and Freedom: A Modern Case for Classical Liberalism (University of Chicago Press 2003), Simple Rules for a Complex World (Harvard University Press 1995), Bargaining with the State (Princeton University Press 1993) and Takings: Private Property and the Power of Eminent Domain (Harvard University Press 1985). He was inducted into the American Academy of Arts and Sciences in 1985 and was awarded the Bradley Prize in 2011. James W. Ely, Jr. is Milton R. Underwood Professor of Law, Emeritus, and Professor of History, Emeritus, at Vanderbilt University. He has written about a wide range of topics in legal history and is the author of numerous works including The Guardian of Every Other Right: A Constitutional History of Property Rights (Oxford University Press, 3rd edition 2008), American Legal History: Cases and Materials (Oxford University Press, 3rd ed. 2005) (with Kermit L. Hall and Paul Finkelman), The Fuller Court: Justices, Rulings, and Legacy (ABC-CLIO 2003), and Railroads and American Law (University Press of Kansas 2001). Ely served as assistant editor of the American Journal of Legal History from 1987 to 1989. Since joining the Vanderbilt faculty in 1979, he has also received numerous teaching awards. Professor Margaret Jane Radin is the Henry King Ransom Professor of Law at the University of Michigan Law School. Prior to joining the Michigan faculty in fall 2007, she was the William Benjamin Scott and Luna M. Scott Professor of Law and director of Stanford Law School's Program in Law, Science and Technology. She also has been on the faculty of the University of Southern California Law Center and has been a visiting professor at UCLA and Harvard. Radin has published prolifically on property rights theory and institutions, commodification, intellectual property, and cyberlaw. Highlights of her property scholarship appear in Contested Commodities (Harvard University Press 1996) and Reinterpreting Property (University of Chicago Press 1993). Professor Robert C. Ellickson is the Walter E. Meyer Professor of Property and Urban Law at Yale Law School. Prior to joining the Yale faculty in 1988, he was a member of the law faculties at the University of Southern California and Stanford University. Professor Ellickson's books include The Household: Informal Order Around the Hearth (Princeton University Press 2008), Order Without Law: How Neighbors Settle Disputes (Harvard University Press 1991), Land Use Controls (with Vicki L. Been, Roderick M. Hills, Jr., and Christopher Serkin) (Aspen Law and Business, 4th ed. 2013), and Perspectives on Property Law (with Carol M. Rose and Henry E. Smith) (Aspen Law and Business, 4th ed. 2014). He is a fellow of the American Academy of Arts and Sciences and was President of the American Law and Economics Association in 2001. Professor Richard E. Pipes is the Frank B. Baird, Jr., Professor of History, Emeritus, at Harvard University. Among his appointments, he served as director of Harvard University’s Russian Research Center from 1968 to 1973, as chairman of the CIA’s “Team B” to review Strategic Intelligence Estimates in 1976, and as director of East European and Soviet Affairs in President Ronald Regan’s National Security Council from 1981 to 1982. Professor Pipes’s books include Formation of the Soviet Union : Communism and Nationalism, 1917–1923 (Russian Research Center Studies 1954, 1964, 1998), Struve : Liberal On The Left, 1870–1905 (Russian Research Center Studies, 2 vols. 1970, 1980), Russia under the Old Regime (Penguin History 1974), The Russian Revolution (Vintage 1990), Russia under the Bolshevik Regime (Vintage 1994), Property and Freedom(Vintage 1999), Communism: A History (Modern Library 2001), Vixi: The Memoirs of a Non-Belonger (Yale University Press 2003), and Conservatism and Its Critics (Yale University Press 2006). Professor Pipes was the 2007 recipient of the National Humanities Medal. Professor Carol M. Rose is the Ashby Lohse Chair in Water and Natural Resources at the University of Arizona James E. Rogers College of Law. Prior to joining the faculty at Arizona, she was the Gordon Bradford Tweedy Professor of Law and Organization at Yale University Law School. She has authored numerous articles and several books, including Perspectives on Property Law (Aspen 3d ed. 2014) (with Robert Ellickson and Henry E. Smith) and Property and Persuasion: Essays on the History, Theory, and Rhetoric of Ownership (Westview Press 1994). Justice Sandra Day O’Connor was honored with the 2011 prize at the eighth annual conference, which was held in Beijing. The 2011 conference was co-sponsored by Tsinghua University School of Law and was a featured event during the university’s celebration of the 100th anniversary of its founding. Justice O’Connor served as an associate justice of the Supreme Court from 1981 to 2006. 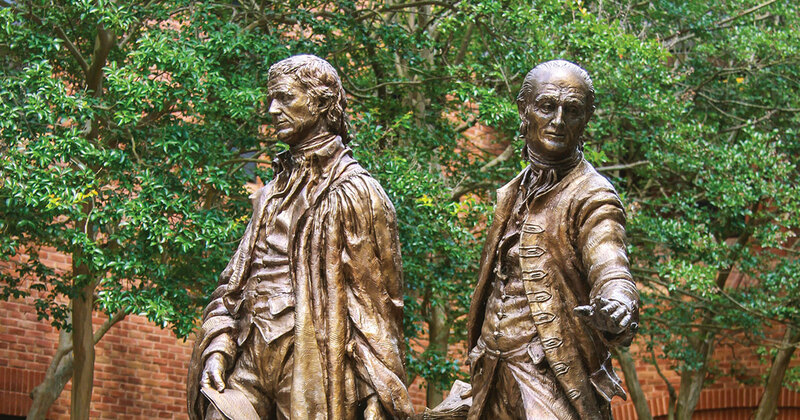 She became chancellor of the College of William & Mary following her retirement from the judiciary. In May 2010, the William & Mary Law School faculty awarded her its highest honor, the Marshall-Wythe Medallion, in recognition of her exceptional accomplishments and leadership. Justice O’Connor served as an Arizona assistant attorney general from 1965 to 1969, when she was appointed to a vacancy in the Arizona Senate. In 1974, she ran successfully for trial judge, a position she held until she was appointed to the Arizona Court of Appeals in 1979. Eighteen months later, on July 7, 1981, President Ronald Reagan nominated her to the Supreme Court. In September 1981, she became the Court’s 102nd justice and its first female member. Professor James E. Krier, Earl Warren DeLano Professor of Law at the University of Michigan, teaches courses on property, trusts and estates, behavioral law and economics, and pollution policy. His research interests are primarily in the fields of property and law and economics, and he is the author or coauthor of several books, including Environmental Law and Policy (Bobbs-Merrill Co. 1978) (with R.B. Stewart) , Pollution and Policy (University of California Press 1977) (with E. Ursin) ,and Property (Aspen Publishing, 8th edition 2014) (with Jesse Dukeminier, Gregory S. Alexander, Michael Schill, and Lior Jacob Strahilevitz). His most recent articles have been published in Harvard Law Review, Supreme Court Economic Review, UCLA Law Review, and Cornell Law Review. A professor of law at UCLA and Stanford before joining the Michigan Law faculty in 1983, he has been a visiting professor at both Harvard University Law School and Cardozo School of Law. Professor Thomas W. Merrill is a scholar of property, administrative, and environmental law and is the Charles Evans Hughes Professor at Columbia Law School. His books include Property: Takings (Foundation Press, 2002) (with David A. Dana), Property: Principles and Policies (Foundation Press, 2d ed. 2012) (with Henry E. Smith), and The Oxford Introductions to U.S. Law (with Henry E. Smith) (Oxford University Press, 2010). His many articles have appeared in publications such as Harvard Law Review, New York University Law Review, University of Pennsylvania Law Review, and Yale Law Journal. Michael M. Berger is one of the top eminent domain and land use lawyers in the United States. His appellate practice at Manatt, Phelps & Phillips has involved condemnation, due process, and equal protection. He was the first practicing lawyer to receive the Brigham-Kanner Property Rights Prize and is considered by his peers to be among the best takings lawyers in the nation. Mr. Berger has argued four cases before the U.S. Supreme Court, as well as cases before appellate courts throughout California, numerous federal courts of appeal, and several state supreme courts. He is also a frequent author of amicus curiae briefs in various appellate courts, particularly the U.S. Supreme Court, pressing client interests in important pending cases. His energetic defense of property owners contributed major decisions to Fifth Amendment jurisprudence in cases such as Tahoe-Sierra (where Mr. Berger’s opposing counsel was John Roberts, who is now Chief Justice of the Supreme Court of the United States), Del Monte Dunes, Preseault, and First English. After attending Brandeis University, Mr. Berger received his J.D. from Washington University School of Law and his LL.M. (in real property) from the University of Southern California. 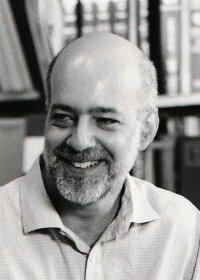 Joseph William Singer has long been recognized as one of the nation's foremost theorists in property law. In addition to a casebook and treatise on property law, he is the author of Entitlement: The Paradoxes of Property (Yale University Press, 2000), The Edges of the Field: Lessons on the Obligations of Ownership (Beacon Press, 2000), and No Freedom without Regulation: The Hidden Lesson of the Subprime Crisis (Yale University Press, 2015). Singer, who joined the Harvard Law School faculty in 1992, was appointed Harvard's Bussey Professor of Law in 2006. Prior to that, he taught at Boston University School of Law, practiced law in Boston, and served as a law clerk to Justice Morris Pashman of the Supreme Court of New Jersey. In addition to books on property law and federal Indian law, he has published more than 70 law review articles. He received his law degree and master's degree (Political Science) from Harvard and is a graduate of Williams College. 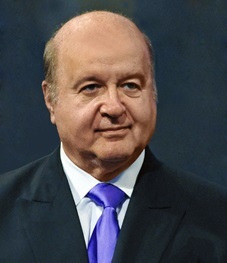 Hernando de Soto is the author of The Mystery of Capital: Why Capitalism Triumphs in the West and Fails Everywhere Else (Basic Books, 2000), The Other Path: The Economic Answer to Terrorism (Basic Books, 2002), which includes a new updated preface, "The Other Path after Ten Years," and Swiss Human Rights Book Volume 1: Realizing Property Rights (2006), co-authored with Francis Cheneval. He has received numerous international recognitions and honors, including, for example, the Adam Smith Award (Association of Private Enterprise Education), BearingPoint, Inc.-Forbes Magazine Compass Award for Strategic Direction, the CARE Canada Award for Outstanding Development Thinking, The Economist magazine’s Innovation Award, the Freedom Prize (Max Schmidheiny Foundation), and the Milton Friedman Prize for Advancing Liberty (Cato Institute). A prolific scholar whose work explores land use, property, and state and local government law, Professor David L. Callies has lectured around the world and authored or collaborated on more than ninety articles and twenty books. He is the Benjamin A. Kudo Professor of Law at the University of Hawaiʻi at Mānoa. He is an elected member of the College of Fellows, American Institute of Certified Planners; a member of the American College of Real Estate Lawyers; and a member of the prestigious American Law Institute since 1990. Prior to entering academia, he was an attorney in private practice and an assistant state’s attorney. Callies’ previous recognitions include The Owners’ Counsel of America’s Crystal Eagle Award, the Lambda Alpha International Member of the Year Award, and the Jefferson Fordham Lifetime Achievement Award, which is conferred by the ABA’s Section of State and Local Government Law. He was awarded a University of Hawaiʻi Regents Medal for Excellence in Teaching in 2009. 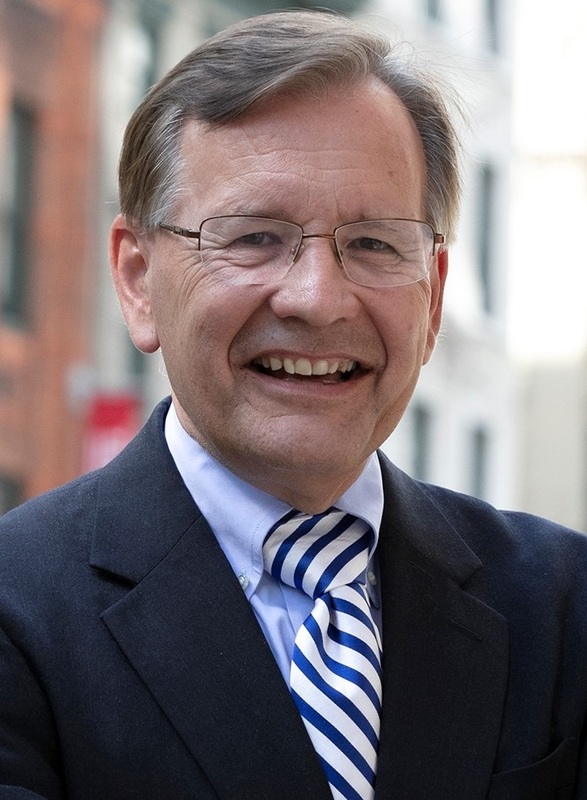 Professor Stewart E. Sterk is the H. Bert and Ruth Mack Professor of Real Estate Law and Director of the Center for Real Estate Law & Policy at the Benjamin Cardozo School of Law of Yeshiva University in New York City. His publications include a number of articles on takings law and the law of servitudes, but he has written in a wide variety of areas, ranging from property and land use regulation to trusts and estates, copyright, and the conflict of laws. A member of the American Law Institute, Sterk served as an advisor in the preparation of the Restatement (Third) of Property (Servitudes). He has co–authored casebooks on trusts and estates and on land use, and he also edits the New York Real Estate Law Reporter, a monthly newsletter published with the assistance of Cardozo students. The winner of a number of teaching awards at Cardozo, Sterk has taught as a visiting professor at Columbia and at the University of Pennsylvania, and has also taught at N.Y.U. He earned his B.A. in 1973 and J.D. in 1976 from Columbia University. While in law school, Sterk served as managing editor of the Columbia Law Review, and he subsequently clerked for Chief Judge Charles D. Breitel of the New York Court of Appeals.